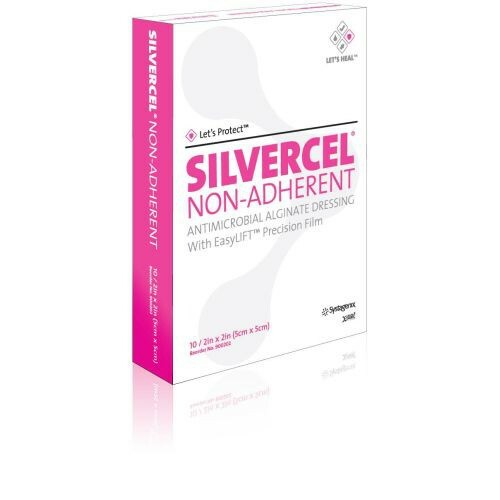 SILVERCEL Non-Adherent Antimicrobial Alginate Dressing with Silver provides an antimicrobial barrier for up to seven days. The amount of time between dressing changes is dependent on wound exudate levels. 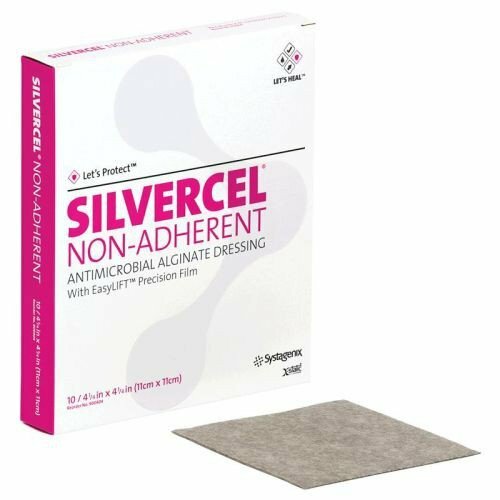 Silvercel non-adherent dressing features a non-woven pad made with a combination of alginate, carboxymethylcellulose, and nylon fibers that are coated in silver. The alginate part of the dressing helps manage the exudate. Meanwhile, the silver coating on the nylon fibers acts as an antimicrobial agent to reduce the risk of infection. This pad uses EASYLIFT Precision Film Technology to ensure that the dressing layer that makes contact with the wound is non-adhesive. This makes removal of the dressing pain-free. The EASYLIFT technology also ensures non-adherence to the wound after absorbing exudate. 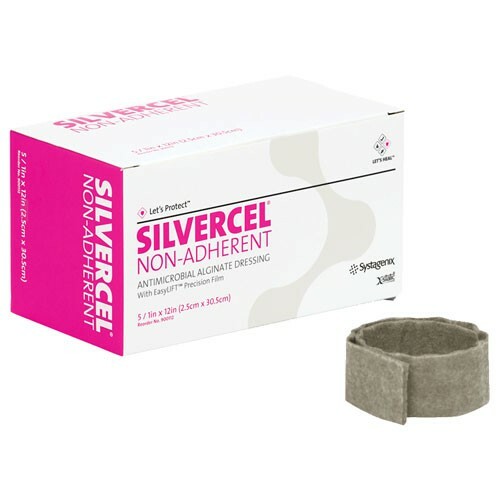 The SILVERCEL dressing is designed for use on moderate-to-heavily exuding wounds. This makes it ideal to use on surgical wounds, donor sites, and various ulcers including diabetic, venous, and decubitus or pressure ulcers. i have recieved the nonadhesive pad but there are no instructions. I have looked all over this site and cannot find instructions for use. I had a vein dr. use a silver fabric on my veinous stacis ulcer and she cut it the size of the wound and placed it in the wound then covered with a guaze wrap . i was instructed to not touch it or get it wet and return in 7 days. upon returning the fabric was removed and the wound was covered with pink skin. i need to know how to use the foam I recd. do i wet it change it or leave it alone? The silver contained within the products helps to stop bacterial spread as well as heal the wound as needed. The silver cel product is the best wound healing product is absolutely amazing. It actually heals the wounds. I'll use this product again.